Just when you thought summer might really be endless, along comes fall. Before the first frost, it’s crucial that you prepare your sprinkler system for the coming cold weather months. Every home with a sprinkler system should have a plan for post-growing-season prep. Prepping your sprinkler system for fall should be on your radar early on, so you’re ready and get it done before that first, all-important frost. A wistful moment in the life of any sprinkler system, turning off the water for the year is the first thing you’ll do when prepping your sprinkler system for fall. Your valve is between the water supply and the backflow prevention device. This may be safely underground, in a crawl space, or a box designed to protect the valve. If you’re not sure, call Royal Irrigation and we’ll do it for you. Sprinkler system water valves can be tricky. There’s always the temptation to force a valve that’s stubborn (because it hasn’t been touched since you turned the water on in spring). The experts at Royal know how to handle stubborn valves. Your system’s pump should be drained of all water. If possible, it should be detached and moved indoors for the winter. If not, secure it with a weather-resistant, waterproof cover. In the world of irrigation, this is called “blowing out”. The only reliable way of achieving this is with pressurized air. You can drain the water, but because pipes shift with time, there’s no way to know if there’s still water in there, waiting to freeze and ruin your pipes. When you blow out your sprinkler system with pressurized air, you can be confident that the job’s been done right and that there’s nothing left in your pipes to freeze – and burst. Your fall “blow out” should be achieved in the order in which you normally use your system. For instance, if you run one zone at a time according to a rotating schedule, that’s how your blow out should go – zone by zone. The volume of air used is another important factor in the process of blowing out your system. When there’s not enough, the air will coast along on top of any water in the pipes, preventing it from being blown out. If you’re not sure about what you’re doing, it’s always best to call the professionals at Royal Irrigation. We blow out sprinkler systems every fall and have been doing so for years. With us, you can be sure the job’s done right and that your system is protected against bursting pipes caused by water remaining in them and freezing. These are the basics. 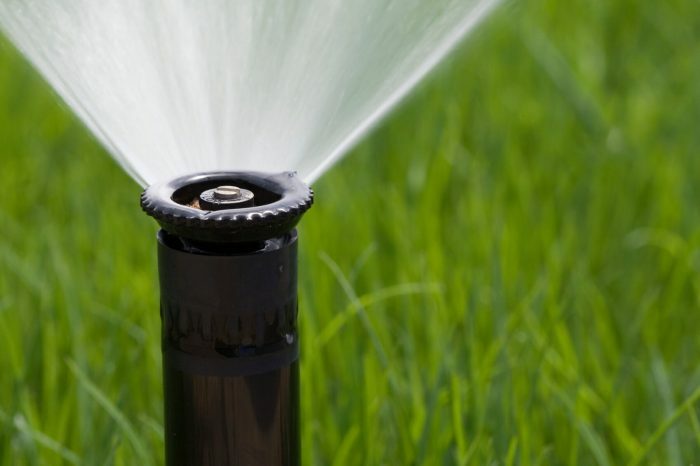 At Royal Irrigation, we know you’ve invested in your sprinkler system and want to protect it from the possibility of freezing in winter. That’s why we suggest you call us to ensure that prepping your sprinkler system for fall is done correctly. Ready to secure your investment? Contact us. Let the Royal Irrigation team take care of it!